While presenting some ever new wood pallet projects and also working on them I always feel like a rebel, a rebel of the common norms of the society and culture. As I have started a new debate in the masses that how much useful these wooden pallet recycled creations are. To me this beholds a lot of importance because I somewhere deep inside my heart I feel like doing some divine work by saving and preserving the nature. By saving the trees. 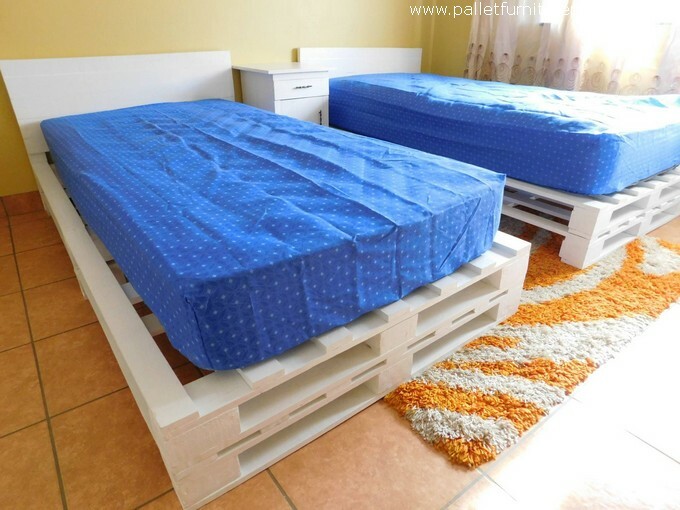 I have brought here a pallet single bed with side table. 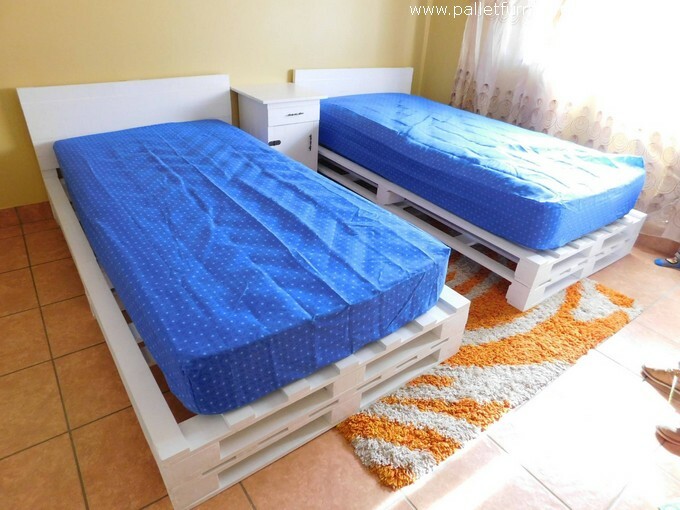 Let’s discuss a more routine wooden furniture item that we consider for our rooms, this is normally a double sixed room bed made with the bed having two side tables on both sides. The side tables are meant to be a complimentary wooden furniture item that helps us with preservation of the several accessories that we need especially at the night time. But we as rebels have rejected all the conventional designs and shapes that are mostly followed. 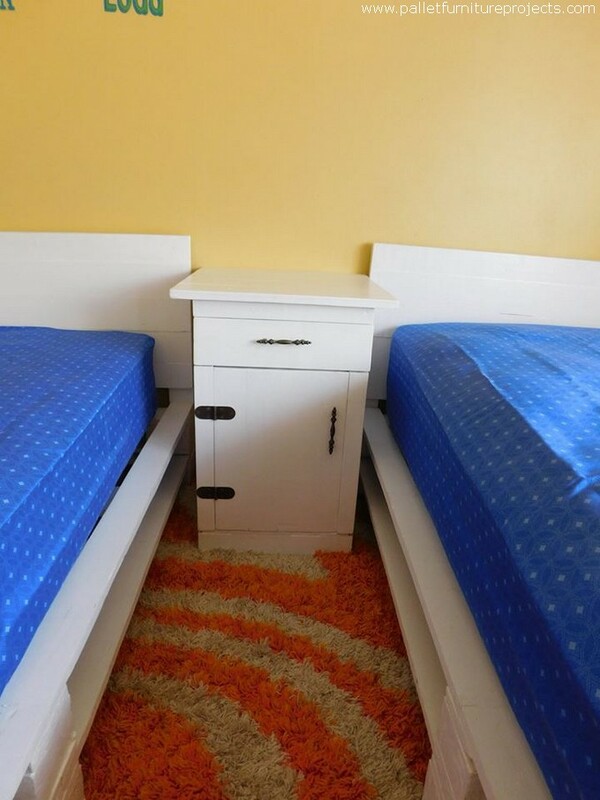 We have literally changed the whole dimension, we have divided that large room bed in two separate single beds. Plus we have changed the two side table with one combined side table that would be placed in the middle, do you like the concept? Now have a distant look at the room bed, I think this one of the best wooden pallet creations that we have come across so far. I am just loving this new concept where two single beds are separated from each other at a reasonable distance, and the side table is placed right in the middle. 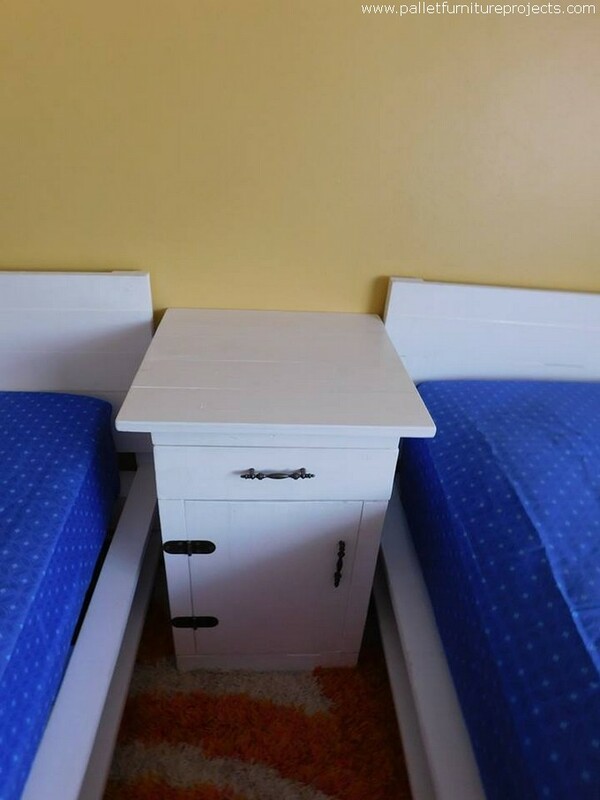 We have stained them with finest white compound, the side table is also designed ideally with a couple of drawers and reasonable storage space.